Disruptive change is coming to supermarkets and this will have a ripple effect throughout the food industry supply chain. Technical innovations online and in-store and shifting consumer demands will re-shape the supermarket of the future. And that future is approaching fast. 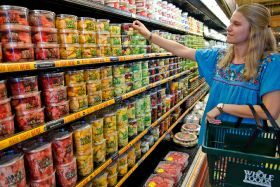 Proof that we are on the brink of a supermarket revolution came last year when e-commerce giant Amazon invested US$13.7bn (€11.7bn) in acquiring supermarket chain Whole Foods Market. This promises to be a game-changer in food retailing. And it is not only in funky-looking offices in Seattle where the supermarket is being re-imagined: other specialised enterprises already fulfil online grocery orders by delivering directly to customers’ front doors, and more businesses will jump on the bandwagon. Traditional bricks-and-mortar supermarket chains, seeing that they are at risk of losing power and profits in this revolution, are strengthening their own e-commerce capabilities. The value attached to Whole Foods Market by Amazon will have come as a wake-up call: established food retail chains must use CRM data to increase sales. It is true that Whole Foods Market has stores only in the US and the UK, and that today’s online innovators such as Instacart are mostly US-based ­ but the shift to selling more food online will quickly sweep through developed nations. 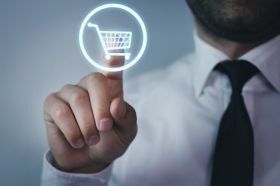 During the next decade the global grocery e-commerce market is forecast to expand at a compound annual growth rate of 13.5 per cent, from an annual value of €43bn today to €135bn by 2025.
Business analysts note that although e-commerce players are making efforts to establish a foothold in the US and Europe, they face serious challenges here because the existing grocery market is saturated and margins are low. This means global growth in food e-commerce will be driven by Asia, where there is highest consumer willingness to purchase groceries online, combined with rapid urbanisation, low labour costs, and a relatively undeveloped retail market. 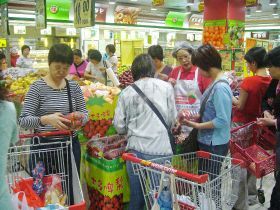 To give just one example of growth potential, in China, the world’s most populous nation, the e-commerce share of the grocery market is currently only 4.2 per cent. To put this into perspective, in nearby Japan the share is 7.2 per cent and in South Korea it is already 16.6 per cent. This is a sure indicator that businesses such as the Chinese multinational conglomerate Alibaba Group, owner of Alibaba.com, will be at the vanguard of big changes. In turn, food shoppers will develop higher expectations and a more critical eye when buying fresh fruit or vegetables. More will want to know how fresh the produce is and whether or when it is ready to eat. The growing number of people around the world with middle-class incomes and lifestyles will become more aware of food safety and more curious about how their foods are being sourced and screened. Discerning ‘foodies’ will even be able to check information about the origins and nutritional value of produce, and to see suggestions for recipes and food pairings. This will attract and addict greater numbers of customers while cleverly making each one feel as if they are being treated individually. The ad-hoc demand created through these online ‘nudges’ will challenge the traditional food supply change. Processing lines will need to know in precise detail what is coming-in from the field and what is in storage in order to meet demand. And quality and safety standards will have to be higher than ever. In the past consumers might have ignored a defect or made a complaint only seen by the grocery chain or food manufacturer, but social media will change that. A photo of something like a frog in a bag of lettuce can quickly go viral and global, reaching enough people to cause brand damage. 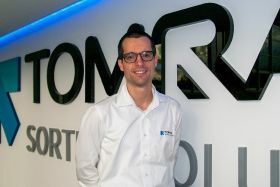 These opportunities and threats mean that machines produced by Tomra, the leading provider of optical food sorting and peeling equipment, will play an increasing role in meeting customers’ expectations and protecting suppliers’ reputations. Grading and inspection equipment ­– at point-of-origin, prior to shipment to the supermarket, or from the on-line dispatching warehouse – can ensure the produce has the desired size and ripeness without bruising or mould. In addition, sorting equipment at different stages in the supply chain will be able to provide essential information on sizing, quality and other quality markers. This live data will enable supermarkets to rely to a greater extent on ‘just-in-time’ stock deliveries, minimising the cost and space of keeping stock on site. Live data will also help suppliers make the packaging and transportation of foods more time-efficient. 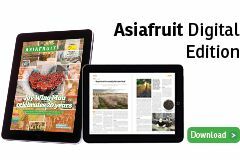 Supermarkets and specialised grocery stores will have the option of reducing on-site running costs by becoming smaller, while dedicating a larger proportion of their shelves to displaying fresh produce. These changes align with the forecast growth in consumer demand for healthier, high-quality produce, more choice, and greater convenience – a demand which will increase massively as household incomes rise in developing nations, bringing 70m more people globally into the middle-class every year.